The battle was one of the largest and among the first engagements in which former slaves of Indians participated in Union uniform; it was also among the first major engagements of black troops as Union soldiers. As the turning point of the Civil War in Indian Territory, the Honey Springs battle resulted in a defeat that forced Confederate allies to abandon their line of defense along the Arkansas River and retreat south of the Canadian River—ground they were never able to regain. My favorite trail at Honey Springs Battlefield, in Checotah, Oklahoma, is trail three, because from every point along the trail, you can see the rugged terrain the soldiers fought to control. The 150th anniversary re-enactment will include re-enactments of the Honey Springs battle featuring infantry, cavalry and artillery; guided and self-guided tours of the camps; various historical demonstrations; living history programs; and sutlers. Getting the battlefield designated as a national historic landmark required the dedicated work of several people in Oklahoma’s State Historic Preservation Office, as well as tremendous community support. Omar Reed, a top-notch historical interpreter stationed at Fort Gibson, is always willing to share his knowledge and skills when discussing Honey Springs and specifically the 1st Kansas Colored Infantry. Fort Gibson was the base of operations for the Union during the campaign to control Indian Territory. From here, Union soldiers marched all night in the rain along the Texas Road to fight at Honey Springs. Next year, visitors can expect to see the construction of a brand new visitor’s center, which will profoundly change the way they experience the battlefield. I first got the history bug while on a fifth grade field trip to our local historical society. My job as a steward of historic sites has given me the honor and privilege to preserve our shared heritage for future generations. I enjoy when kids visit my park, as well as any other place where they can gain perspectives about the world around them. Before I worked at Honey Springs, I worked at other great places such as Wright Brother National Memorial, Fort Raleigh National Historic Site, Cape Hatteras National Seashore and Grand Canyon National Park. Another area of Old West history that interests me is the Chisholm Trail, because it went through the town I grew up in. 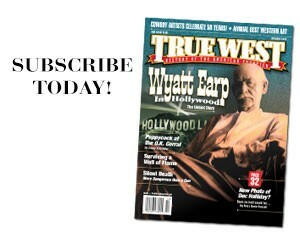 My favorite Western actor is Gene Autry, because I enjoy watching his shows with my two boys Cody and Wyatt. 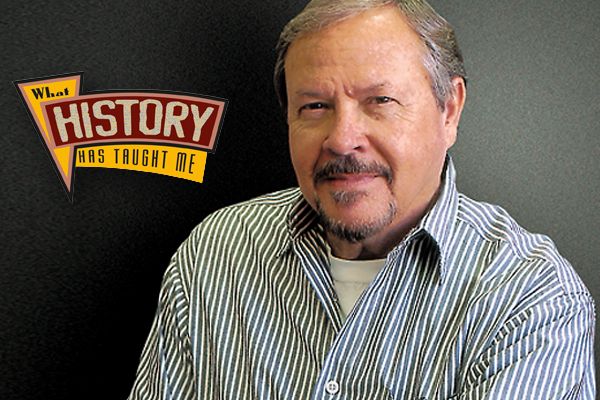 What history has taught me is that understanding the past can have a profound effect on how you plan your future. A native of Oklahoma who grew up in Chickasha, Christopher Price had a good year as director of the Honey Springs Battlefield in Checotah—he helped get the battlefield designated a national historic landmark, just in time for the 150th anniversary of the July 17, 1863, Civil War engagement that took place there. The battle will be commemorated at the park from November 9-10. The site boasts six walking trails and nearly 60 historical markers. 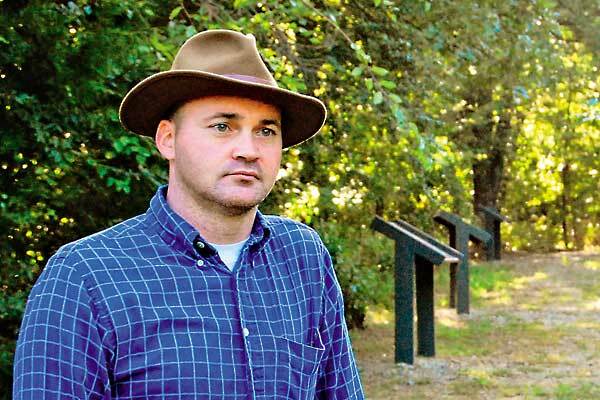 A native of Oklahoma who grew up in Chickasha, Christopher Price had a good year as director of the Honey Springs Battlefield in Checotah—he helped get the battlefield designated a national historic landmark, just in time for the 150th anniversary of the July 17, 1863, Civil War engagement that took place there. The battle was commemorated at the park in November 2013. The site boasts six walking trails and nearly 60 historical markers. 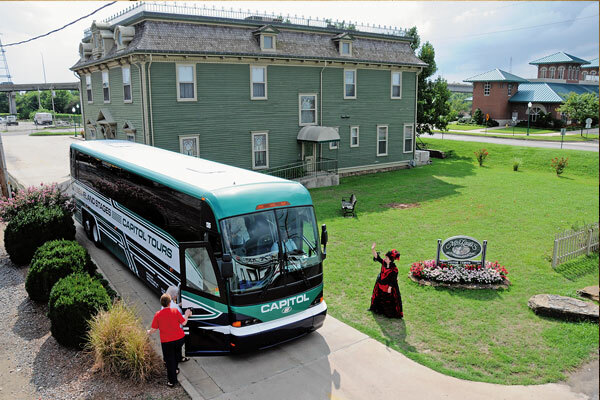 A Bawdy Queen of the Row Miss Laura is saucily charming folks into exploring a historic Arkansas town. 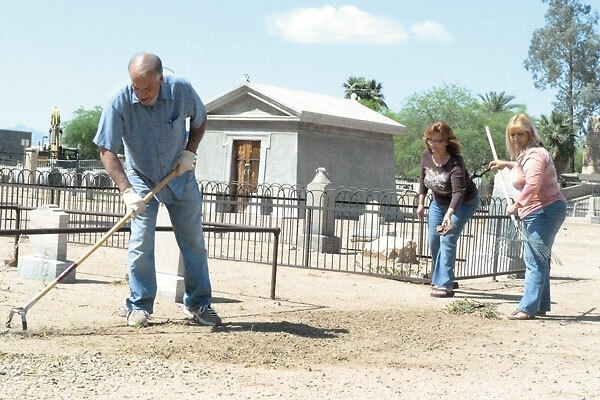 Keeping the Peace Sterling Foster and his fellow Pioneers’ Cemetery Association volunteers protect the final resting place of Arizona’s territorial citizens in Phoenix.